Available in Dinner Plates, Salad Plates, Coffee Cups, and Saucers. 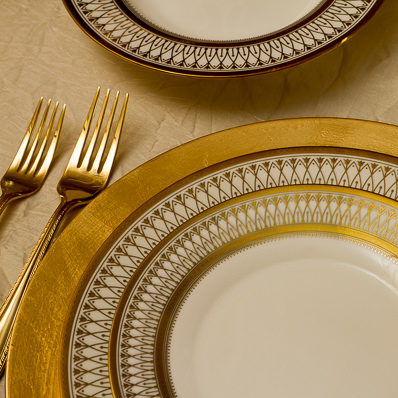 The Gatsby pattern of china is the winner of our New China Competition! We're adding quantities to stock on a per-event basis, so contact us ASAP to get on the list!